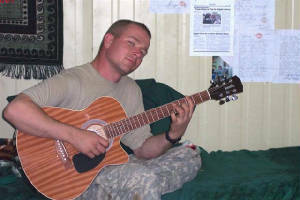 These photos were posted in January, but could have been taken anytime in the provious months of deployment. 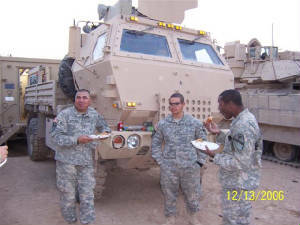 Let me know if you want to change or add to a caption. 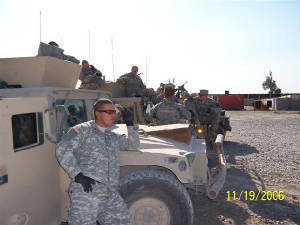 I have tried to identify everyone correctly, but to be honest you all look sort of alike to me when you're all decked out in your gear. 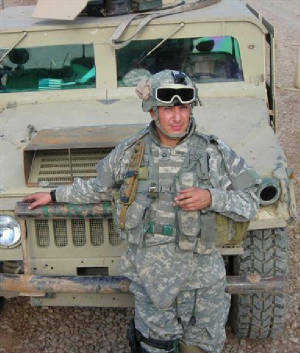 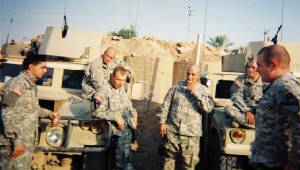 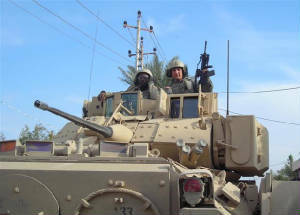 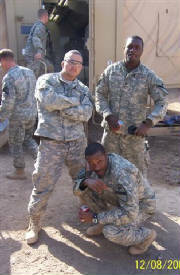 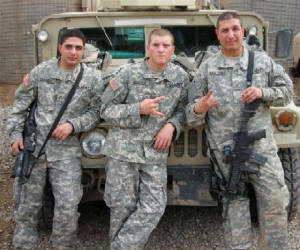 Griff and Rollings with an Iraqi soldier. 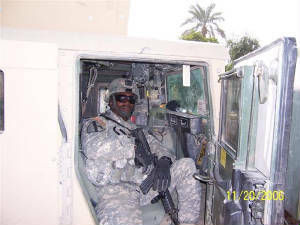 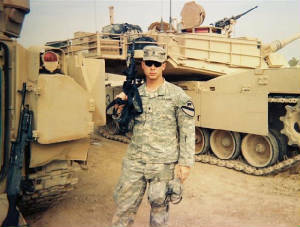 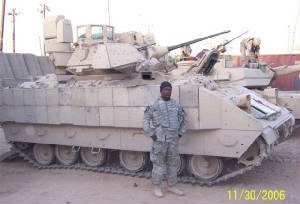 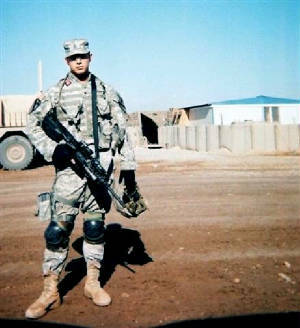 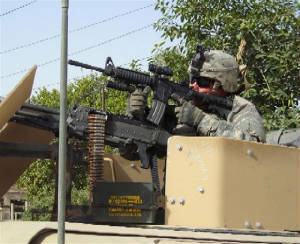 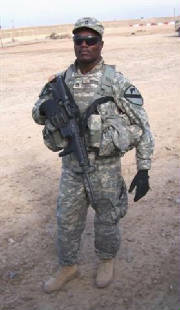 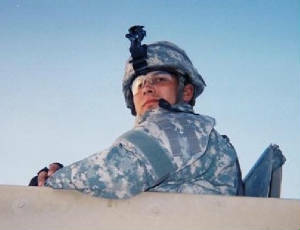 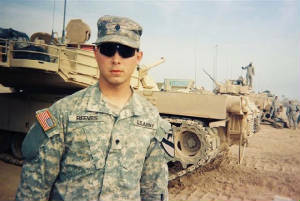 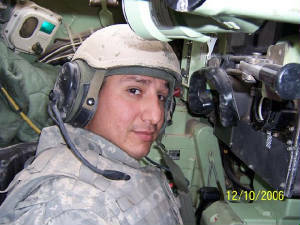 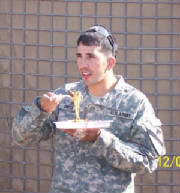 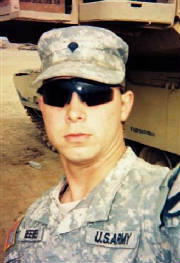 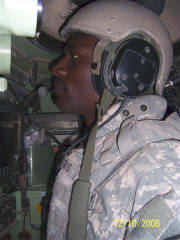 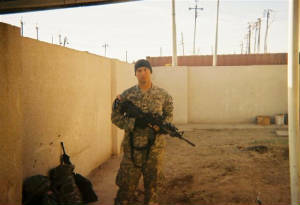 SPC Reeves at his home away from home.